Last year, we ran a review of the immensely popular Oppo BDP-83 universal player, which at $499 is an amazing video and audio player. Noted Recording Engineer/Audiophile Tom Jung swooned all over the Oppo as an incredible high-end sounding SACD and BD player for not that much more money than mid-fi. I also was impressed with its DVD-A PCM playback. As always happens in high-end audio, picky audiophile techies and daring audio engineers proclaimed that the BDP-83 player was capable of much more — with the right tweaks. Modifications started popping up here and there, and the next thing you knew, Oppo added its own mod. 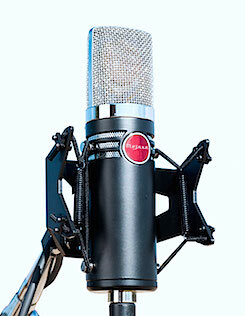 The upgrade created an entirely new model: the $899 BDP-83SE or Special Edition. The BDP-83SE is designed primarily for people who want to use the stereo or multi-channel on-board DACs via the analog outputs. According to Oppo and my own exploratory trip inside the BDP-83SE, improvements come through an upgraded power supply and a new audio board, that includes the new DAC. The Oppo BDP-83SE uses the well-regarded Sabre-32 DAC from ESS Technology. The Sabre-32 has an excellent reputation as a high-quality audio DAC and is often found in high-end audiophile and professional equipment. 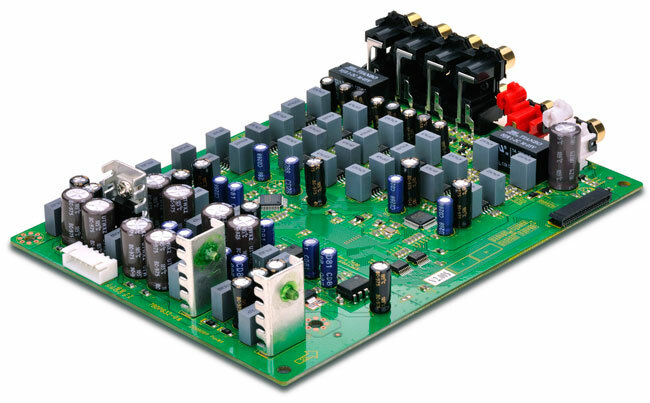 The Oppo BDP-83SE uses an eight-channel Sabre Premier (ES9006) DAC chip for its 7.1 multi-channel output. The dedicated stereo output features another eight-channel Sabre-32 Ultra (ES9016) DAC chip, which is arranged in a stack of four DACs for each of the left and right channels. The other key upgrade to the SE is in the primary switching power supply. The original BDP-83 has a single +14V rail that is shared by the analog audio section (+/-14V) and the BD loader (regulated to +12V). The SE now has a separate +12V rail for the BD loader, isolated from the dedicated +/-14V rail powering the analog audio section. The SE audio board also has additional linear regulators to further smooth out the power and to provide enough local reserve current for better bass, according to Oppo. After popping the top on the SE, both Tom Jung and I both noted that the new model still uses two 5532 signal-path op-amps — just like the standard BDP-83. TJ believes that the 5532 is not the ideal op-amp (where the player’s gain resides) for the best audiophile quality audio. Jung acknowledges, however, that it measures reasonably well, is readily available and, thus, has a low-fixed cost for the manufacturer. Jung believes that Oppo could possibly eke out a bit more transparency and smoothness with higher slew rate op-amps — an upgrade other tweakers have made to the player. With the assistance of the superb Alpha-Core solid-silver conductor interconnects, the SE’s taut bass and wider detailed soundstage finally emerged. I was quite pleased with its sonics on all sorts of music, including jazz, classical and acoustic. Oppo’s Jason Liao said that Oppo actually experimented with high slew rate op-amps in the SE upgrade prototype. According to Liao, the engineers found that the higher slew rate, combined with the inherently noisy environment of a combo video/high-end audio player, made the measured noise specs worse. To address the increased noise issue with additional design changes would have driven up the cost of the player, Liao said. 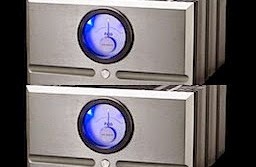 Oppo believes that the 5532 op-amps matches well with the Saber DAC, especially for the player’s well-under $1,000 price. Functionally, the SE has the same transport, functions, remote, USB input and dimensions as the standard BDP-83. It also maintains its wonderful capability to output DVD-A digital signals — up to 24/bit 192 kHz audio via the SPDIF coax or optical jack without downsampling. Good for connection to outboard DACs for full resolution. Video-wise, the BDP-83SE still uses the top-rated Anchor Bay video processing circuit, which relays excellent 1080P video resolution and impressive upconversion. In my set up, I compared the BDP-83SE audio output to the Lexicon BD-30, which is, internally, a standard BDP-83. The line outputs of the player and DAC were fed into my Legacy Coda preamp and then linked to a Pass X350.5 amplifier, which drove a pair of Legacy Focus 20/20s. All interconnects were Alpha-Core solid silver, although I did use some high-end stranded cables just to see if cables made any sonic difference in the line sources. All components were linked to the AC via ESP MusicCord-PRO ES power cords. On first listening to the Oppo BDP-83SE vs. the Lexicon BD-30, I thought the Lexicon sounded a bit more present and open than the SE. But I quickly noticed that the BDP-83SE was linked to the preamp via Kimber stranded interconnects and the Lexicon had the solid-silver cables. When I switched the SE over to the solid-silver cables, its presence perked up, and the bass was a little tighter. But still I thought the BD-30 was a bit more open. So I played around with it for a couple of weeks and noticed it seemed to get better and better sounding. Audio components that I test will usually “burn” in within a couple of days, but this player sounded way better after two weeks. It opened up more and more, and the detail in the stereo image started to emerge. After more time in the play mode and another round of listening through the speakers, I had changed my mind; I liked the SE better than the Lexicon. It wasn’t night and day, but the image detail and transient response now seemed more apparent than the Lexicon, but smoother and natural, with a nice tight bass. With the small improvement noted vs. the standard model, I wondered how the SE would stack up against DAC separates. So I put it head to head with the Benchmark DAC1 Pre, Mytek 24/96 DAC and the Lavry DA10 D/As. During each listening session, I auditioned several pre-recorded 24-bit DVD-As (stereo mixes) and my own guitar DVD-A recordings. To carefully A-B and listen deep into the audio mix of each piece of music, I connected the Oppo’s SPDIF digital output to the auditioned converter, and then routed the converter analog outputs to the Coda preamp using the solid-silver cables. The BDP-83SE stereo analog outputs also were connected to the Coda preamp, using solid-silver cables as well. 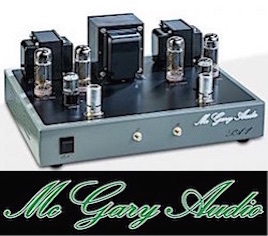 Using another pair of solid-silver cables, I then connected the Coda’s outputs to a Benchmark H1 Class A headphone amp that is essentially the same circuit that is in the Benchmark converters. I carefully matched the level of DAC1 Pre, using its volume control, to the level of the Oppo. Using a pink noise CD, I matched the level by putting an Audio-Control RTA-3050 measurement mic one inch from a AKG headphone driver. With the RTA checking the level, I adjusted the level of the Benchmark via its onboard volume to the same exact level as the Oppo output. 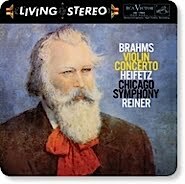 I then conducted intense, careful listening sessions over several days. With the levels precisely matched, I could not consistently hear major differences between the player and separate DACs. With high-res PCM tracks that contained abundant treble, the Benchmark eked out a bit more audible detail and presence on reverb decay, the transient edges of drum cymbal hits and acoustic guitar pick attack. But the differences were not that significant. On midrange heavy pop or strummed acoustic guitar, I was not always sure whether I could hear a difference. The Oppo is that good. Versus the Lavry DA-10, the Oppo was somewhat smoother and more natural on treble tones, such as drum cymbals. The Mytek tonal timbre was very good, but the image was not as wide or deep as the Benchmark, Oppo or Lavry. Video wise, the BDP-83 still uses the top-notch Anchor Bay video processing circuit, which relays excellent native 1080P Blu-ray resolution video and impressive DVD-video upconversion. On SACD playback, the BDP-83SE had all the same audible qualities as PCM with just a slightly smoother flavor. Brass sounded really nice without the edgy bite often heard through lesser players (or DACs). As good as the Oppo BDP-83 SE player is, sonically, the $899 does not get you better packaging. Just like the standard BDP-83 the cabinet/chassis does the job , but it is not as heavy duty as other $750-$1,000 players I have auditioned. Transport noise is quite obvious. The Lexicon BD-30 shows you how good a chassis can be with this player — with its excellent transport noise dampening and solid feel. But of course, the Lexicon costs over $3,000. I was just hoping Oppo could have stepped up the chassis by a notch or two. All in all, the Oppo BDP-83SE DAC and power supply upgrade make noticeable improvements over the original BDP-83. My sample definitely sounded better after a few weeks of continuous play. With the assistance of the superb Alpha-Core solid-silver conductor interconnects, the SE’s taut bass and wider detailed soundstage finally emerged. I was quite pleased with its sonics on all sorts of music, including jazz, classical and acoustic. I find it amazing that the BDP-83 series Oppo has become such a respected, talked-about, audiophile component. There are now very expensive players based on this player. Oppo’s ace in the hole, however, is its direct-pricing (along with a few online retailers.) 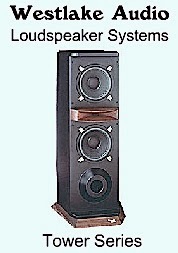 You combine the $899 value with such fine sound, and it is truly a no-brainer why so many people are picking the Oppo BDP-83 or SE. Attention Audiophile Shoppers! Another Stellar Sound Award for Oppo. I enjoyed your review. You mentioned that transport noise was apparent. Was that during playback, or only when loading a disk? 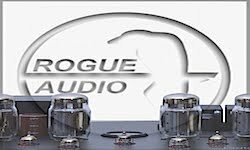 Excellent review - so glad to find a true audiophile reviewing HT components! I also enjoyed your review of the Marantz AV8003 Pre/Pro. Can you please comment on how the BD playback SQ of the Oppo 83SE compares to that of the Pioneer Elite BD-09? Also, can you please comment on how the SQ of the AV8003 compares to that of the Onkyo PR-SC885P or PR-SC886P? Glad you liked the review. The Oppo and the Pioneer are really close in BD playback via the multichannel lossless formats. They are so close that other variables are more likely to influence your decision, such as price and video quality. I still believe that the Pioneer has the best native 1080p reproduction of any BD player. As for the Onkyo and Marantz audio quality comparison via their internal converters, I think the Marantz sounded closer to the sound of the Pioneer or Oppo's internal decoding. Usually, I prefer the player via its analog outs. That was not the case with the Marantz. Thanks for the feed back. The Oppo is an excellent universal player for the money. The transport noise is when the mechanism is accessing tracks and menus, not when in rotation motion playing the tracks. The Lexicon version of this player with its thicker faceplate and cabinet quiets the noise considerably. Of course, it's way more expensive. I can live with the noise for $2,000 less. I read your review on the Oppo BDP-83SE, which was very informative. I have been going back and forth on whether or not to purchase the plain 'ol Oppo BDP-83 because I have read mixed reviews on how it performs in the audio department with CD's and SACD's. Some say it's wonderful and some say it sounds thin with a small soundstage. I definitely am NOT an audiophile but would like to buy a player that is going to give me great music from CD's...along with a great pic on blu-rays (I don't think there's any argument over how great it is for that). I could not find your review of the Oppo BDP-83 (non special edition). Would you recomment the plain 'ol 83 for music CD's or would you recommend another combo bluray player?? We had a Samsung 1600 until we did a firmware update last Saturday and it turned into a non-working piece of junk. Apparently, TONS of people have had this issue with this particular model and Samsung has yet to fix it...been going on for over a year and they keep letting people update the firmware and it ends up frying their player. Anyways, that's why I am looking for another player, but want to hear beautiful music with it too. I just cannot afford the SE version at this time but I would love to purchase it.